The new PC-3000 Flash software Ver. 7.1.1. is available! PC-3000 Flash software Ver. 7.1.1. The release includes an incredibly convenient feature of automatic error correction - “Intelligent ReRead mode”. 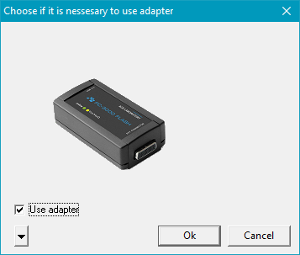 To correct the bit errors, simply run this mode and go for a coffee drink , while the PC-3000 Flash reader does the job for you. All the actions and commands available in this mode are detailed in the list of enhancements. Please, read our Blog article to learn more about this mode. On the top of that, most of the tasks are now performed in the background. With this novelty you will save a lot of time and will be able to use the PC-3000 resources more efficiently! ATTENTION! 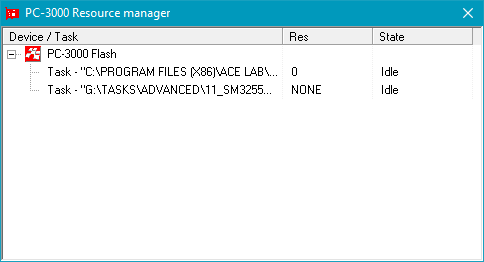 Before running the PC-3000 Flash 7.1.1. installation file, you must close all active windows of the PC-3000 (Express, UDMA, Flash, Portable, SAS). Otherwise, expect errors during the installation process. PC-3000 Resource manager has been added. The manager helps to monitor open tasks, switch between them, see which parameters had been used. New algorithm of “ReadRetry mode checking” has been added. It checks whether different ReadRetry algorithms for new NAND chips or for those chips that don’t have a support of ReadRetry in chip parameters can be applied. New resources (XOR, ECC, Page transformations, Chips ID, reading rules, ReadRetry types) have been added. “Block number Sandisk” algorithm has been improved. The quality of image building has been increased. New modes have been included in the image building algorithm. “Block number SM SD/CF” and it's “updates” algorithm has been improved. “Translator PS8035” and it's “updates” algorithm has been improved. “Translator ITE1167” and it's “updates” algorithm has been improved. Algorithm of preparing for “Block Rotation” has been improved. New translator error handling algorithm has been added. The tool “Transformation of XOR map” has been improved. The tool “Copy information about a chip” has been improved. “Block number Innostar» algorithm has been improved, new algorithm of recovery has been added. “CBM” algorithm of image building has been significantly improved. Quality of working process has been increased for the cases with non-standard Bank size. PC-3000 Flash software has been completely translated on UNICODE type. Now it is possible to launch a separated task or a group of tasks or external applications which help to improve stability. Also, the limitation for 2Gb of RAM per task has been removed. When you run the next instance of the application, you will need to specify if it uses the adapter. To simplify this operation you can create a custom shortcut for each application type. 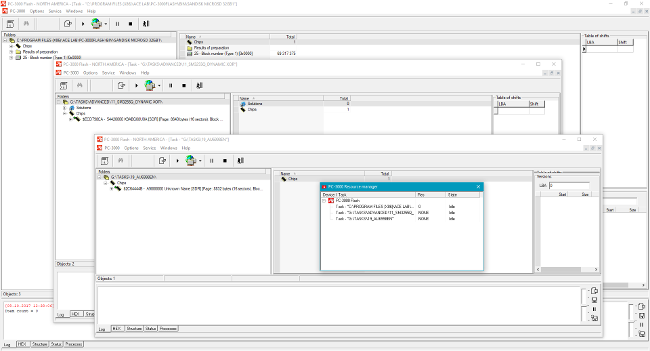 PC-3000 Resource manager has been added to the software. The manager helps to monitor open tasks, switch between them, see which parameters had been used. Reading the remaining sub-map area of uncorrected pages with a full range of power supply. The current execution phase can be skipped with the transition to the next. Also the manual execution of each of the stages is made possible. Availability of each stage is determined by the capabilities of the equipment and task parameters. Background analysis allows to work with different tasks at the same time, to analyse and to search for solutions without waiting on important operations such as ECC correction or ReReading to complete. And also run the processes in parallel on several results. New ECC codes for modern chips have been added. New ReadRetry modes have been added. New types of resources have been added: new chip IDs, XORs, page structures, reading rules. New dynamic XOR for SK, PS and CBM controllers have been added. Implemented asynchronous drawing of the map, which allows slow direct read mode or complex recalculation of the ECC to cancel the mode or change the parameters. Added the ability to skip the current chain during the re-reading process, added information on the overall status of the re-reading process, allowing you to estimate the required time. For Spider Board adapter a new modes of “Pinout autodetection” and “Check pins only” have been added. You can find full description of these algorithms in Chapter 10 of Spider Board manual in personal Update Box. All authorized technical support users will get the latest software versions. Please contact us to get the information on how to receive the latest PC-3000 Software Updates.